The book "Alcoholics Anonymous," affectionately known by members as "The Big Book," is the textbook for the original 12-step recovery program now known by the same name. Authored by Bill W., founder of Alcoholics Anonymous, and many of the first 100 members of the group, it was actually written by committee, with drafts of the book sent back and forth between Bill W's group in New York and Dr. Bob, the other founder of A.A., in Akron, OH. Many long-time members of the Alcoholics Anonymous program regard The Big Book with the same esteem that others do the Holy Bible, considering it to be divinely inspired. That might stand to reason because the founders of the 12-step program began their spiritual journey of recovery in the Christian-based Oxford Group and borrowed many of that group's and other Christian organization's principles in forming the 12 steps. Consequently, it follows that some would regard The Big Book with a measure of reverence. As it says in the forward of the book, "We, of Alcoholics Anonymous, are more than one hundred men and women who have recovered from a seemingly hopeless state of mind and body. To show other alcoholics PRECISELY HOW THEY CAN RECOVER is the main purpose of this book." To accomplish that purpose, the Big Book is divided into two main parts. The first part, known as the first 164 pages or the "original manuscript" explains the 12 step program and how it can be used to overcome the effects of alcoholism. The first part includes Chapter 5, titled "How it Works," which contains the 12 steps and is usually read at the opening of every A.A. meeting worldwide. The second part of the book contains stories written by some of the original members of A.A. relating their personal experiences with alcoholism and how they found a path to recovery. 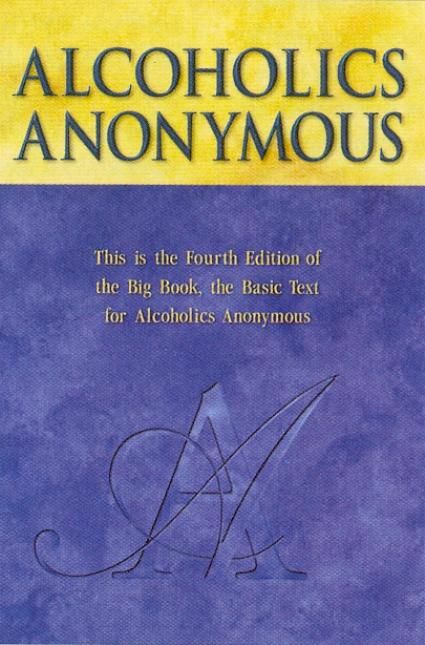 In the four editions of the book, some of these stories have been deleted and others added, but the message is the same -- the only way to fully recover from the effects of alcoholism is to practice the principles found in the 12 steps, which can lead to a "spiritual awakening" for the alcoholic. For those whose lives have been changed by it, the book "Alcoholics Anonymous" has become more than a mere book -- it has become a life-long companion. Rarely have we seen a person fail who has thoroughly followed our directions. Those who do not recover are people who cannot or will not completely give themselves to this simple program, usually men and women who are constitutionally incapable of being honest with themselves. There are such unfortunates. They are not at fault; they seem to have been born that way. They are naturally incapable of grasping and developing a way of life which demands rigorous honesty. Their chances are less than average. At some of these, you may balk. You may think you can find an easier, softer way. We doubt if you can. With all the earnestness at our command, we beg of you to be fearless and thorough from the very start. Some of us have tried to hold on to our old ideas and the result was nil until we let go absolutely. Remember that you are dealing with alcohol - cunning, baffling, powerful! Without help, it is too much for you. But there is One who has all power - That One is God. You must find Him now! 1. Admitted we were powerless over alcohol - that our lives had become unmanageable. 7. Humbly, on our knees, asked Him to remove our shortcomings - holding nothing back. You may exclaim, "What an order! I can't go through with it." Do not be discouraged. No one among us has been able to maintain anything like perfect adherence to these principles. We are not saints. The point is, that we are willing to grow along spiritual lines. The principles we have set down are guides to progress. We claim spiritual progress rather than spiritual perfection.